Have you seen Suze speak? Leave a review. 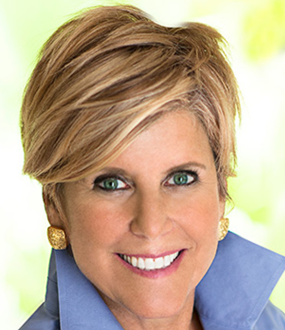 From health care plans to retirement funds, Suze Orman shows you the smartest ways to move your money. 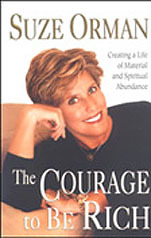 Ranked among the best female motivational speakers in the world by Business Week, Orman has shared her advice with millions via speaking engagements, her top-selling books, and the award-winning Suze Orman Show which aired on CNBC for thirteen years. 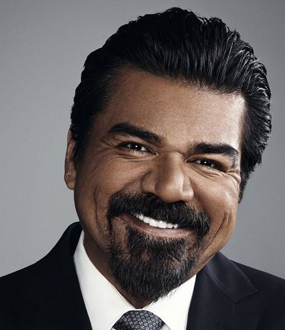 Orman was a frequent face on The Oprah Winfrey Show and contributing editor to O, The Oprah Magazine for 16 years. Throughout her television career, she received 8 Gracie Awards in recognition for the valuable content she created for and delivered to female audiences. 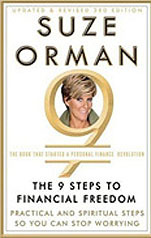 Orman was ranked among the top ten most influential celebrities by Forbes and among Forbes’ “most powerful women.” She has written seven New York Times best sellers and hosted six PBS specials based on her books. Orman spent her early adulthood as a waitress earning $400 per month. At age 29 she decided she wanted to open up her own restaurant and received a generous “interest-free loan” of $50,000 from her boss and customers. She invested that money with a broker at a Merrill Lynch office who made some risky moves with it and lost it. As a result, Orman began to study finance and applied for a job at the same office, believing that if the man who lost her money could be a broker, she could be one, too. She was hired and during her training quickly discovered that her broker had broken several rules with her investment, but because he was one of the branch’s highest earners, management was looking the other way. 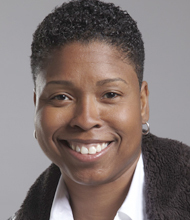 She sued Merrill Lynch while still working for them and won back her money plus interest. 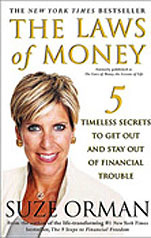 Financial guru, Suze Orman discusses ways you can make more of yourself so that you can have more. While she cautions people that money is not the key to happiness, she also points out that a lack of money can incite numerous problems in your life. 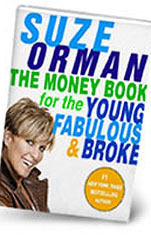 Suzy Orman’s advice for managing your money, becoming debt free, and increasing your quality of life is fiercely sought-out. Orman’s spirited presentations inspire people to develop consciousness and control of their spending. From investing in the stock market to paying off student loans, she breaks down financial topics into understandable bits revealing which courses of action will help you save the most and leave you prepared for whatever the future might throw at you. “Thanks so much for your help in arranging this fabulous evening. It was one of the best I′ve experienced in my 22 years of working at the 92nd Street Y. Suze is just amazing, and really covered all bases and spoke to the needs of our audience in a clear and concise way. “More than 700 people including Kent Place School students, faculty and staff members as well as diverse mix of people from the greater northern New Jersey area attended Ms. Orman′s lecture. We appreciate the time she spent with the students prior to her speech — I know it′s something the girls will not soon forget! “On behalf of the Public Library of Charlotte & Mecklenburg County, thank you for your lively and information presentation at our Novello Festival of Reading 2002. You made the audience members feel like longtime friends, and you clearly inspired everyone to think about more than what′s happening with the stock market! “We at Fidelity Investments want to thank you for speaking at our recent series of Plan For Life After Work seminars this past fall. You were an important part of our success. Educating our investors is a major of what we seek to achieve here at Fidelity Investments. We want for them to have all the tools they need to help make their financial futures strong. 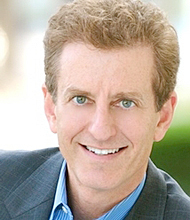 Your practical, no-nonsense financial advice, and your ability to connect with our audiences, was precisely what we were looking for. Your enthusiasm for your work, and for helping people help themselves, was evident to all who attended. Our guests couldn’t sing your praises enough, and for that we are truly appreciative. “Thank you again, and we look forward to having the opportunity to work with you during the coming year. Are you in control of your money—or is your money in control of you? This revolutionary book shows you the steps that will let you break free of financial anxieties and take power over your money. An innovative guide to the practical strategies needed to manage money and achieve financial self-fulfillment. Practical, spiritual and above all soundly financial, The Courage to Be Rich addresses the rites of passage we all must face—marriage, divorce, death, spending (and overspending), and taking control of our financial tomorrow’s today. The Courage to Be Rich shows you how to find the clarity, conviction and courage to meet the obstacles and opportunities of a lifetime. You’ve Earned It, Don’t Lose It! A must read for anyone approaching retirement. You’ve Earned It, Don’t Lose It goes beyond the usual retirement primer by providing complete, direct, painless and from the heart information which could ultimately save your retirement years from disaster.